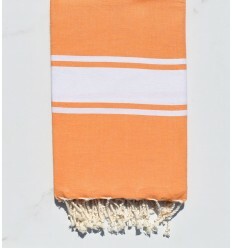 The beach towel is an essential accessory for sunbathing on the beach or a pool. 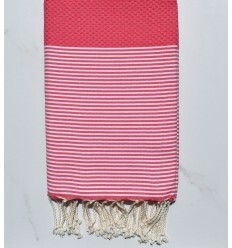 The beach towel has the advantage of being lightweight and compact, its weight is 400 g on average you can put it in your bag and take with you everywhere. 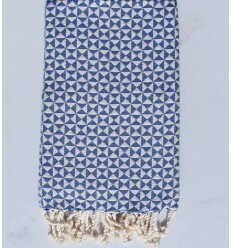 Our beach towels are great for dry with after a refreshing swim in the sea. 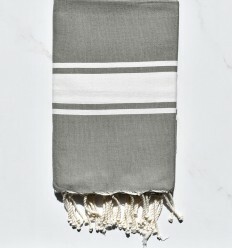 It can be used as a sarong for women, men and even children for a dimension of 0.7 * 1.4 m. Relax on the beach with one of those wonderful towels. 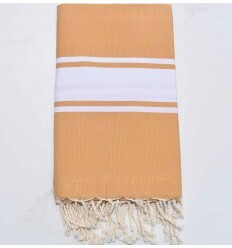 Our collection offers a variety of designs and colors to choose from flashy to simple and from light to dark beach;; The towel has several types of weaves: flat, with solid honeycomb or with stripes, chevron ... Let's choose the model that suits you according to your desires. 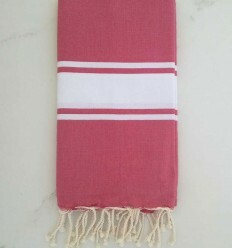 Beautiful strawberry pink striped white 100% cotton fouta. 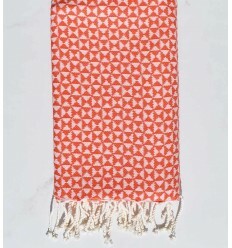 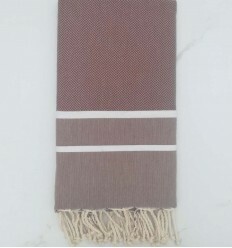 Beautiful light orange 100% cotton beach towel. 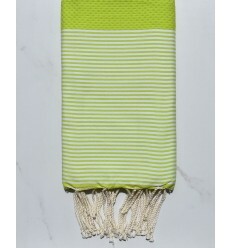 Beautiful military green 100% cotton beach towel . 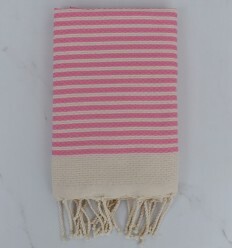 Beautiful honeycomb with light pink stripes 100% cotton beach towel.